The “worst case scenario” warning comes after analysis of likely traffic flows, if customs checks are delayed. Lorries carrying medicine could get priority at ports and planes used to fly in drugs, ministers said. But Tory Brexiteer Andrew Bridgen said it was “Project Fear on steroids,” ahead of Tuesday’s big Brexit vote. 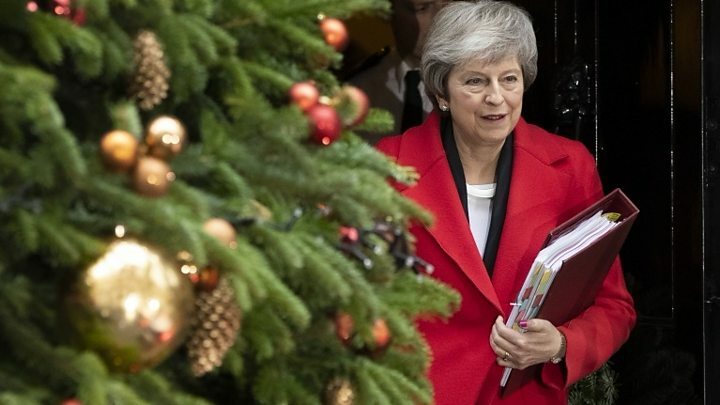 The prime minister’s claim that the alternative to the withdrawal agreement she has negotiated with the EU is a no-deal Brexit, has so far failed to convince many of her own MPs. Health Secretary Matt Hancock was among ministers trying to promote the deal on Friday, ahead of Tuesday’s Commons vote, which the PM is widely expected to lose. He told the BBC: “I don’t know how likely ‘no deal’ is. It is what happens automatically unless Parliament passes something else. 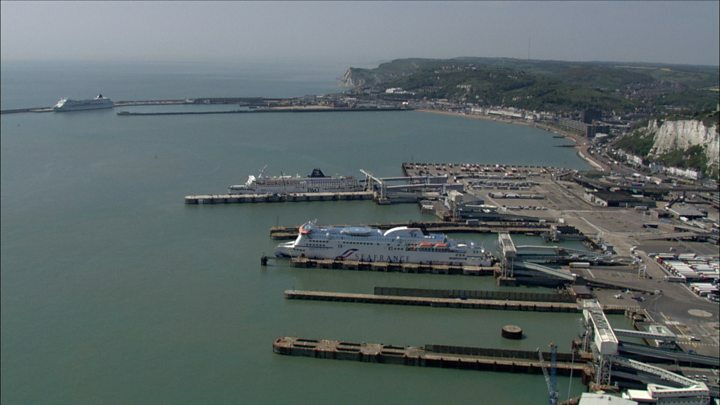 Updated advice to government departments from officials warns there could be six months of reduced access and delays at Dover and Folkestone, if the UK leaves the EU on 29 March 2019 without a deal. Drug companies were told in August by the government to create stockpiles in the UK with six weeks worth of supplies. That has largely been achieved although there has not been so much progress with medical devices. But pharma bosses believe the government should do more to ensure continuity of supply and ministers should give more detail of plans to fast-track lorries through ports. Some may be suspicious about the timing of this with political debate over Brexit raging – government sources say the warning is based on analysis of trading patterns by officials which could not be withheld from Whitehall departments. Mr Hancock has written to health leaders, telling them to check their plans for ensuring the continued supply of medicines. Current advice is that there should be a six-week stockpile of medicines in the UK to cover the possibility of disruption after a no-deal Brexit. About 90% of medicines imported by the UK and the Republic of Ireland come in through Dover. The health secretary said the “worst-case planning assumption” meant that “whilst the six-week stockpiling activities remain a critical part of our contingency plans, this now needs to be supplemented with additional actions”. He said the NHS should prepare to use alternative routes in the event of disruption on cross-channel routes, including the use of planes to fly in supplies. He wrote that if France or other EU countries imposed additional border checks in a no-deal scenario, the impact was “likely to be felt mostly on the short straits crossings into Dover and Folkestone” affecting both exports and imports, with “significantly reduced access” for up to six months. Mike Thompson, chief executive of the Association of the British Pharmaceutical Industry (ABPI), said the government warning was “stark” adding that “stockpiling more medicines is not the solution to this problem”. He welcomed the intention to prioritise the flow of medicines and vaccines, but added, with just four months to go, “we need the government to take immediate action to open up alternative supply routes between the UK and Europe and tell companies so that they can make plans”. Kent County Council has warned that dead bodies may remain uncollected and children might miss exams due to gridlocked roads in the event of a no-deal Brexit. In an update on its contingency planning, the local authority said refuse could blight the streets and food deliveries could be disrupted as the county copes with 10,000 lorries parked or stacked on its roads. Council leader Paul Carter said preparations had been made for potential difficulties but added: “We now need far more input and information from national government in how they are going to work with us. With many of her own MPs opposing the deal, particularly the controversial issue of the “backstop”, aimed at preventing the return of a hard border between Northern Ireland and the Republic of Ireland, Mrs May is expected to lose Tuesday’s vote on the deal. One senior minister has told the BBC “the only political common sense is to delay” it – but Downing Street has said it will go ahead as planned. ← What's going on with Huawei?